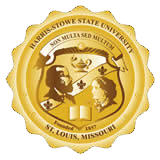 The HSSU Intramural Sports Program is committed to offering safe and quality programs, providing the opportunity for enjoyable social, recreational and competitive experiences in a wide variety of team and individual sports and special events. We strive to foster a lifetime appreciation of, and involvement in, wellness and recreation for our students, faculty and staff. We offer an array of sports and fitness opportunities, a beautiful facility with up-to-date equipment and student leadership opportunities. Subsequently, the director contributes to the development of vibrant co-curricular programs that support seamless learning initiatives and recreational opportunities within the context of higher education.